GREG HERSOM’S (on FanLit's staff January 2008 -- September 2012) addiction began with his first Superboy comic at age four. 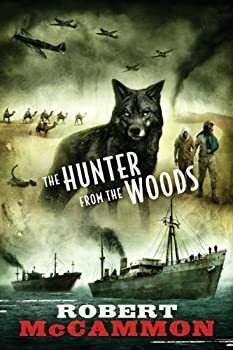 He moved on to the hard-stuff in his early teens after acquiring all of Burroughs’s Tarzan books and the controversial L. Sprague de Camp & Carter edited Conan series. 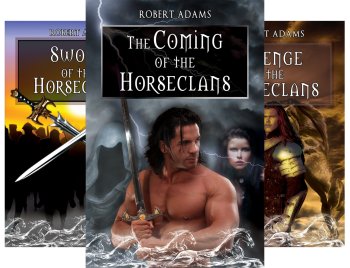 His favorite all time author is Robert E. Howard. 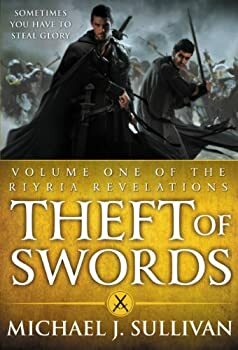 Greg also admits that he’s a sucker for a well-illustrated cover — the likes of a Frazetta or a Royo. Greg live with his wife, son, and daughter in a small house owned by a dog and two cats in a Charlotte, NC suburb. 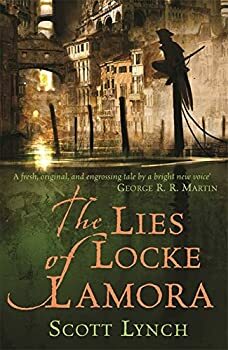 He retired from FanLit in Septermber 2012 after 4.5 years of faithful service but he still sends us a review every once in a while. When George R.R. 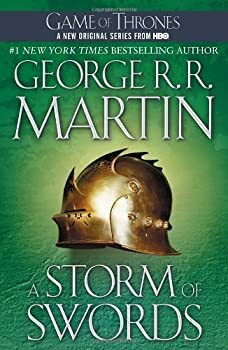 Martin’s A Storm of Swords (2000) begins, the War of the Five Kings has just ended, and it looks like the Lannisters have won the realm. They control King’s Landing, Westeros’ capital city, as well as the fifteen-year-old King Joffrey. 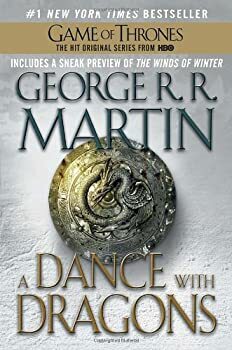 Stannis Baratheon is in retreat, and their remaining foes, the Starks and the Greyjoys, have turned on each other rather than allying against a common enemy. Basically, the bad guys have won, but A SONG OF ICE AND FIRE isn’t over. Grimnir is a monster, literally. The Norse call him skraelingr. To the Irish, he is the fomoraig, and to the English he is an orcneas. Born and raised to do war, for and against the old gods. Immortal, they spend their endless lives, longing for glory in the final battle of Ragnarok. 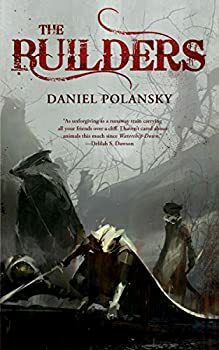 I'm a huge fan of Daniel Polansky's LOW TOWN series, so I might have claimed that I wouldn't have bought The Builders if he hadn't written it, but that's not completely honest because there is something appealing about a story that features personified animals. I’m sure I’m not the only adult man who hasn’t outgrown them. What if superheroes were real? I mean really “real”: what if they grew old and got fat, had spouses and families, carried emotional baggage (sometimes a serious psychosis), and just generally had to deal with everyday life? These super-heroes aren’t inherently all good, either. Just like public servants — police, politicians, doctors, etc. — many begin with the best intentions, but some become jaded and others are only motivated by self-interest from the start. In other words, if superheroes were real, they would be just like us, more or less. 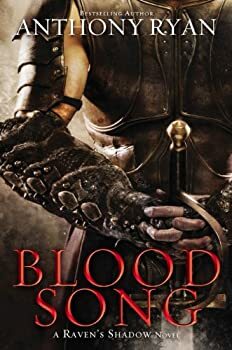 I purchased Anthony Ryan’s Blood Song because it showed up in my Goodreads "recommended" list with a ton of 5-star reviews. 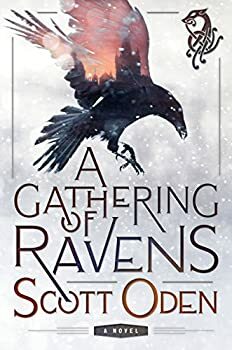 I'm usually suspicious, however, when the reviews so overwhelmingly endorse the greatness of a book. Based on my experience with Blood Song, I was right to be suspicious. 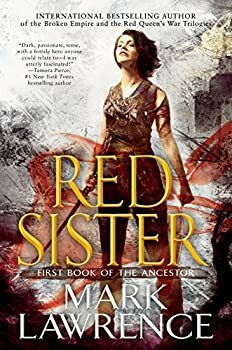 While Blood Song is not horrible — I probably would've slid it 3 stars had I finished — I'm totally clueless as to how it earned so many 5-star reviews. Granted, I'm long past the age where I enjoy coming-of-age stories, if I ever did like them much. 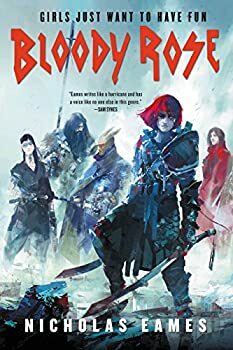 So maybe that's the reason I don't understand why Blood Song is getting so much love. 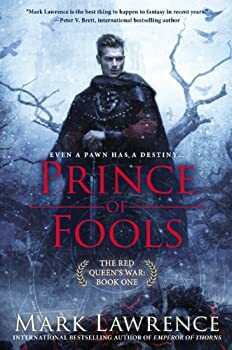 At its best, Heroic Fantasy can inspire and enliven. By nature, the subgenre is less concerned with realism than it is with depicting nobility, honor, and genuine integrity. In so doing, it shows us a world that reflects the better portions of our own, the world as it should be rather than as it is. 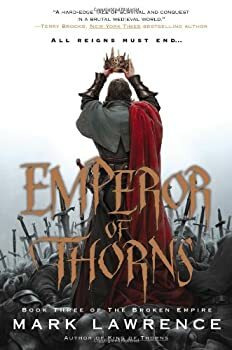 At its worst, however, Heroic Fantasy is notorious for shallow characterization, mindless violence, and sententious, often hypocritical, pontificating to justify all that mindless violence so our valiant warriors can get back to massacring villages with rumps firmly planted on high horses. 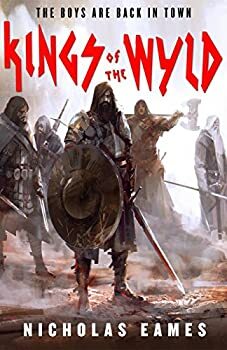 White Wolf is a bit better than the latter, but it’s a good way from the former. 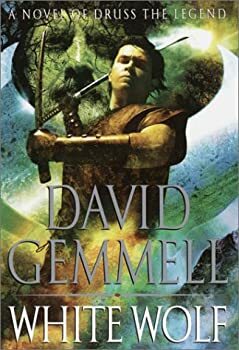 It evens out more or less for David Gemmell, but it’s far from the proudest moment of his career. No one knows the names of these two monster slayers for hire. One is a dwarf who wields two short battle-axes and the other a big bald brute that carries an almost unknown weapon: a pistol. For the right price, this pair will do any killings you require. They can out-fight, out-drink, and usually out-smart most anything — man, beast, or creature. 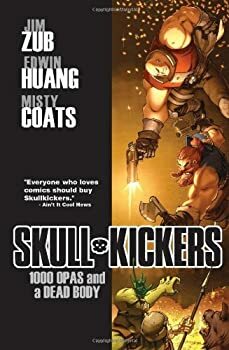 They are the SKULLKICKERS. How can anyone not dig a title like that? 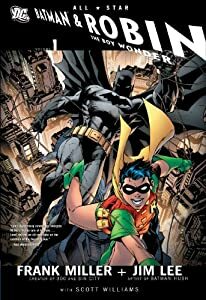 All-Star Batman & Robin, The Boy Wonder, Vol. 1 is the re-telling of how the legendary Dynamic Duo came to be as only Frank Miller has the cahoonas to do it. 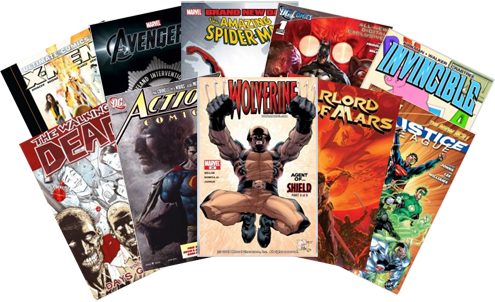 A little background for newcomers or fanboys/girls who have been away for a while: Marvel comic’s ULTIMATE story arcs are a rebirth of the Marvel Universe for a new generation of readers and have storylines that fit better with the recent movie adaptations. Comics were a huge part of my childhood because they introduced me to the amazing world of reading. When I was a kid, my best buddies and I, with our weekly allowances of 50¢ jingling in our pockets, would make the mile-long walk to the one grocery store in town every Tuesday. That’s when the new comics were stacked on the grocery store's spinner rack. Those comic books waited for us like personal invitations to worlds of heroes, adventures, and wonder. Though I've moved on to more substantial literature, I never outgrew comics. 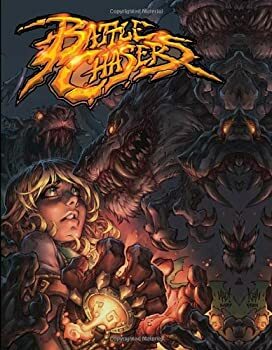 My passion has recently been re-"Kindled" since I've found digital comics on my e-reader. 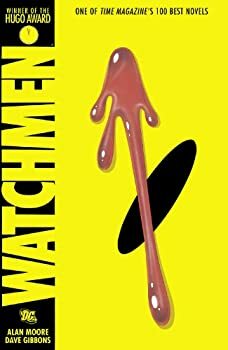 Do you read comic books and graphic novels? If so, what do you like about them? If not, why not? 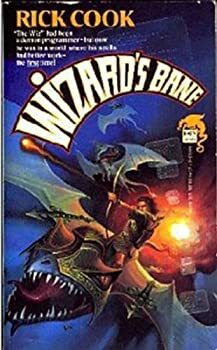 In a world where magic is commonplace, what use is an expert-level computer programmer like Wiz Zamult? The only person who knew the answer was the great wizard Patrius, but bringing Wiz to this medieval world cost Patrius his life. Moria, a beautiful red-headed hitch witch, is tasked to be Wiz’s caretaker. However, Moria dislikes Wiz as much as he is infatuated with her. Somehow, this helpless stranger is the key to stopping the federation of evil wizards called the Dark League. 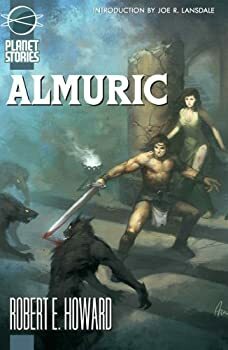 The latest Hollywood adaption of Robert E. Howard’s legendary hero seems to be taking an especially tough beating. Speaking as a life-long CONAN and Robert E. Howard fan, by Crom, I don’t hate. I saw the film on a Sunday afternoon – and yes, I got suckered into paying for 3-D. I’ll be the first to admit my disappointment, but it’s nowhere near as bad as the rants imply. 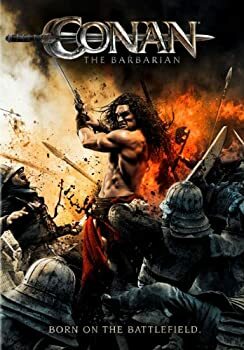 In fact, there is much in Conan the Barbarian that can be commended.